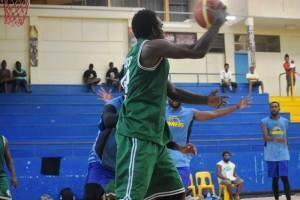 The Solomon Islands Basketball Federation used the acquired funding from the IOC to send both the Men's and Women's National Basketball Teams to Australia on a 12 day tour. Leaving from Honiara, Solomon Islands on 12th June and returning on Saturday 23rd June were 13 male athletes, 12 female athletes, 2 coaches, 2 team managers and 2 referees. 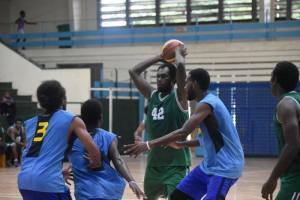 In addition to this, another Solomon Island male basketball athlete residing in New Zealand joined the tour group to participate in the tour program. The tour started in Brisbane, Australia before moving on to Coffs Harbour where the FIBA Oceania office is based. This is where the tour matches and trainings were based from. 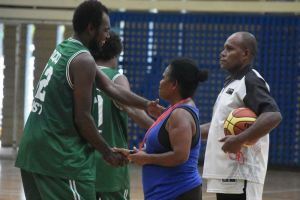 Play opposition of a challenging standard that is not possible in Solomon Islands to assist with the preparation for the Men's Women's Squads in the lead up to the South Pacific Games in Samoa, Apia. Assist with the selection process for the final Men's and Women's teams to attend the South Pacific Games. Give the opportunity for all athletes and officials to bond as a group and grow as a team. The Men's and Women's Basketball Squad training program initially started on 8th January 2007 with 2 x 2 hour training sessions each week. Since this time the number of training sessions has been increased gradually to a total of 6 per week. Before departure for the Australian Tour more than 80 training sessions had been completed by the each of the National Squads. 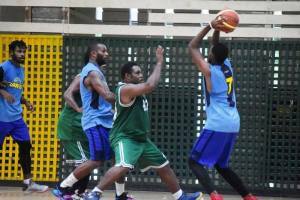 From 17th April - 1st May 2007 FIBA Oceania Basketball Zone Development Officer (ZDO) Jon Hoyle was in Honiara to assist the Men's and Women's National Basketball Squads with their preparations for the Australian Tour and the South Pacific Games. He worked closely with coaches and players over a number of training sessions, including early mornings to assist in the skill development of the athletes and coaches. 2pm Depart for Port Maquarie, Hastings River Rd. 9am 1 male and 1 female athlete to Channel 10 TV Studios for TV interview. 10am Remaining group is picked up at spend the night at family houses. 8am Depart Brisbane Airport for Honiara, Solomon Islands. The tour consisted of a number of training sessions at a first class basketball facility and a total of 6 matches. The matches were located both in Coffs Harbour and also as far as 2 hours drive when we visited Port Maquarie to play their State League Senior Mens Basketball Team. The overall result for the Mens Squad was 5 wins and 1 loss. This was an outstanding achievement when looking at the size and strength of the teams we played. The majority of the matches were against much taller and much physically stronger men. This was a good test for the squad which has a large number of young players who are still growing and developing. There is no doubt in my mind that the training the team had done so far greatly assisted the results that were achieved. All players worked together to play as a team to overcome obstacles, which was impressive. The squad also showed a very strong attitude of never giving up as they continued to play and work hard no matter what the score was. This was especially a factor in the last game we played when we played the State League Champions, Grafton. Despite losing by as many as 11 points in the 3rd quarter, the team played hard and eventually came out winners at the end of the match. The tour was formatted with a game and training session on most days, which was similar to how the tournament at the South Pacific Games is structured. This proved for an ideal preparation, as it was a mentally and physically demanding program which tested all athletes. There were also some injuries throughout the tour which tested the team. In the first game Junior Gwali injured his ankle and missed the following 2 games. 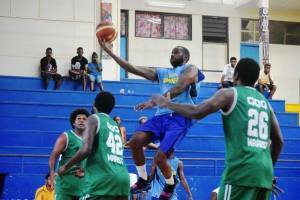 In the second game Allan Wane injured his ankle and was unable to play for the remainder of the tour. Although it was disappointing to suffer injuries, it was also a challenge for other members of the team to step up and take responsibility. Waige Turueke was outstanding throughout the tour. His shooting, rebounding, defence and fitness were all excellent. 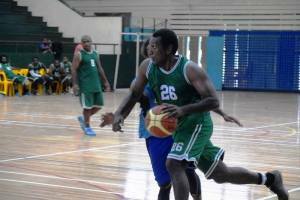 He was the team's top scorer for the tour and plays a valuable role. It is clear to me that his time in U.S.A. has been valuable and worthwhile. We were also fortunate enough to have Anthony Prince join the squad in Coffs Harbour. He paid his own fare to join the squad and participate in the tour. Anthony was a valuable addition to the squad. Standing 6 foot 3 inches tall with a wide body, he was an excellent addition, especially because height is one area that the squad is lacking. His worth was proven when Allan was injured and it was left to Leon Hatigeva, Moses Au, Timothy Goulolo and Anthony Prince to carry the load in the Centre and Forward positions. I would like to thank all the people who assisted us on our tour, including Steve and Judy Smith from FIBA Oceania, Sandra Mottram from Aqua Villa Apartments, Jon Hoyle as fabulous assistance throughout the tour and Darren Thomas from Coffs Harbour Basketball Club for his personal assistance. The S I National Women Basketball team successful two weeks stints in Coffs Harbour, Australia, has been the culmination of sheer hard training in the first phase of the team's preparation for the upcoming South Pacific Games in Samoa. The tour itself has proven beneficial and an eye opener for the team as a whole with a very tight schedule of training and playing against teams from various colleges and states in and around Coffs Harbour, organised by the FIBA Oceania staff. The tour had really boosted the players' morale and playing perspective especially training and playing in very high standard facilities and different environment compared to what we have back here in the Solomon Islands. The team started its training on the 8th January 2007 with 23 players initially, training 4 nights a week from Monday - Thursday at 5 pm - 7 pm until the first trial match on the 11th March 2007, as per SIBF calendar, to trim down the team to 15 players. With a manageable size of the squad the training seasons increased to include mornings. We had encountered problems with selecting girls into the squad due to the fact that basketball and netball pick from the same pool of girls as they play both sports, and some proved good at both sports, thus made some girls not fully committed to basketball training from the start. In spite of this we continued with our training programs and the team gradually picked up as they gearing up for to the Australian tour. The tour to Australia was regarded as a trip of a life time. The girls did exceptionally well playing a total of 6 games winning 4 and losing 2, taking into account the cold weather that really bogged them down, the new environment, the new facilities and the people they were playing against. It also meant that a lot of work and efforts in the team in terms of game structures, formats and fitness. The opposing teams were not to be taken for granted as they have been well coached from very early ages. However the SI team put up a good fight and had adjusted well as they progressed on with their games. They should be praised for an excellent performance and results. The tour itself was a huge success and served its purpose. It has greatly assisted me as a coach in my game planning, individual players and the team as a whole. We were able to identify our strengths and weaknesses to improve on in the next coming weeks leading up to the SPG. I believe that having more of these tours for exposure will greatly help our athletes to confidently compete in whatever tournaments they are competing in whether locally, regionally or internationally. The SIBF also need to implement its development plans on players and facilities. One of the major setbacks here is the only basketball court we share with so many other sports and groups. I would like to register my heartfelt gratitude to the IOC for making this tour possible financially, FIBA Oceania staff, Steve and Judy for being there for us, Sandra for the generous offer of an affordable accommodation, Regan for hosting us at your home with a delicious BBQ and Jon for being a very patient driver and sideline coach. Thank you so much for a very well organised schedule and the assistance rendered to us during our time in Coffs Harbour. We had such a wonderful, educational and pleasant time in the heart of basketball. NOCSI for the continuos assistance, SIBF for the tireless efforts put into planning this tour, the Provincial Press for the T-shirts, Players, officials, fans and supporters who made this tour interesting and enjoyable. 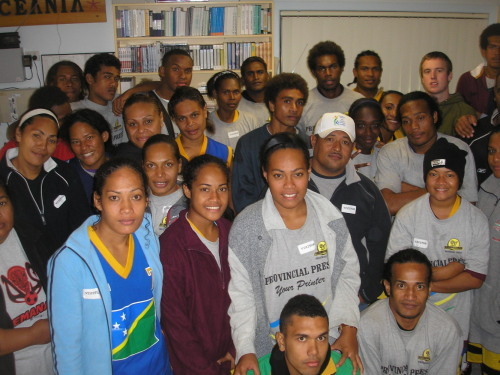 The Solomon Islands National Women's Basketball team, together with the Men's Basketball team was privileged to make a training tour to Coffs Harbour, Australia, on 12 - 23 June 2007, for training and warm - up games, in preparation for the upcoming Pacific Games in Apia, Samoa 2007. 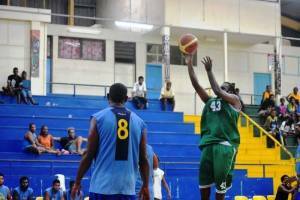 The Women's Basketball consisted of 13 players, 1 coach, 1 team manageress and 1 referee. The team left Honiara for Australia on Tuesday 12th June 2007. The teams arrived at Brisbane airport and were met by Mr. Michael Chan, who was mandated to organise the arrangements for Brisbane, due to the late changes in travelling dates (two days earlier than scheduled time). The teams spent one night at City Palm Motel in Brisbane. Mr. Jon Hoyle, FIBA Oceania Development Officer, arrived on Wednesday evening with a 25 - seater bus, to transport the teams to Coffs Harbour, while Mr. Ryan Burns took the 12 - seater bus. The Women's Basketball team boarded the bus with Mr. Jon Hoyle plus few of the Men's team. The bus which transported the women's team broke down half-way to Coffs Harbour (about 3 hours from Coffs Harbour). The Highway patrol was contacted, which arrived two hours later; however they could not solve the problem. The team spent the night sleeping in the bus on the Pacific High way until morning. Mr. Burns, who arrived to Coffs Harbour with the men's team, was contacted in the morning and came back and rescued most of the women's team members, while the rest waited with Mr. Hoyle for the Avis Management to sort out the problem. The teams were given two 12-seaster buses and were driven by Hoyle and Kiloko to Coffs Harbour. The teams were accommodated at the Aqua Villa Motel, 56 Park Beach, and Coffs Harbour. This is a very expensive accommodation under the management of Ms. Sandra, who is the Coffs Harbour Basketball Referee; however, it was acquired with a very low price by the help of Judy Smith of FIBA Oceania office. 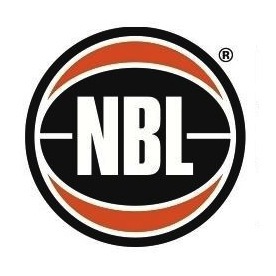 In fact, the teams were given Thursday night free of charge when the organisers at Brisbane could not confirm accommodation venue in time for the teams to leave for Brisbane on its return route. Mrs. Judy Smith came over and had a brief meeting with the team's management. She distributed the match scheduled program for the teams, which consisted of training times, matches and venues during mornings and evenings. Some matches were played outside of Coffs Harbour, to which the teams had travel some hours to reach the venue. The Women's team had its first match during the evening of the day the team arrived in Coffs Harbour. The match was against Coffs Harbour under 16. The Women's team played 7 matches, namely; Coffs Harbour under 16; Christian Community High; Coffs Harbour State league; Port Macquarie State league; John Paul College; Grafton State league. However, the 6th match game and second time match against Coffs Harbour State league on Tuesday 19th was abandoned due to the injury of one of the CHS players, who had her left leg, broke in two places. It was an unfortunate incident which affected the Women's team, however, the Women's team members, management and referees send her a signed "get well-wish card and wish her speedy recovery. The team played its last match on Wednesday 20th with Grafton State league, which were about one and a half hours drive north of Coffs Harbour. On Thursday, it was the only free day from a very tight scheduled program. The team members were given the day to pack up and clean the accommodation units and go out and see the beautiful town of Coffs Harbour, home of basketball. The teams were hosted to a BBQ on Thursday night on the premises by Mr. Duran Angiki and Family. The teams boarded the three 12-seater buses, driven by Mr. Hoyle, Mr. Ryan Burns and Mr. Kiloko, at 12 midnight and took off for Brisbane airport, and arrived in time for flight check-in of seven members who were confirmed to board the Friday morning's fight. I was on Friday's flight, with a referee official and five women's team members. The rest of the team contingent travelled back home on Saturday 23rd June 2007. The tour was definitely a very big achievement for our national teams, in terms of boosting the player's strength and morale, as well as a very good training experience for every one involved, including both players and management officials. Iam confident that should SI National teams have the opportunity to expose its players overseas regularly, it would greatly benefit players to excel to high level of play to able to compete comfortably with other strong pacific nations teams, even Australia and New Zealand. I would like to acknowledge and thank FIBA office management, Mr.& Mrs. Smith and Mrs. Kama for their great support and tireless effort in organising the games and training program and for the invaluable advise to the teams, management and officials and, for hosting the teams for meals; Mr. Hoyle, for organising transport and driver, and for moral support, for being with the teams throughout the tour; Mrs Sandra, for excellent accommodation facilities, especially for the special price; Mr. Daren, for the great moral support in being part of the management team; to all teams and management, which had been involved in giving our teams a good basketball experience; all the families, wantoks and friends in Coffs Harbour and Brisbane, who had contributed one way or the other to the teams welfare in Australia. All these support has contributed a lot in giving the teams a fruitful and memorable basketball experience. Finally, thank you to IOC, ONOC, FIBA Oceania, NOCSI, Solomon Airlines, Provincial Press Ltd, and SI Basketball Federation for making it possible for the SI National Basketball team tour. The teams had been good ambassadors for the country, and I am grateful to be part of the contingent. We Are Basketball!! 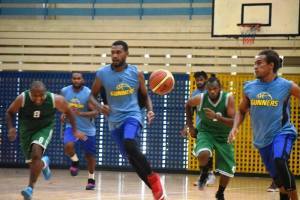 Financial Report on IOC Funds towards the Solomon Islands Basketball Team preparation to the South Pacific Games in Samoa. 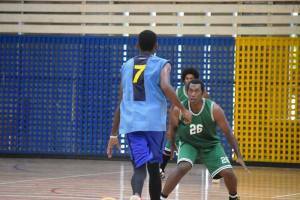 On the 19th October 2006 the NOCSI received funds on behalf of the Solomon Islands Basketball Federation from IOC to assist the team's preparation to the South Pacific Games in Samoa. 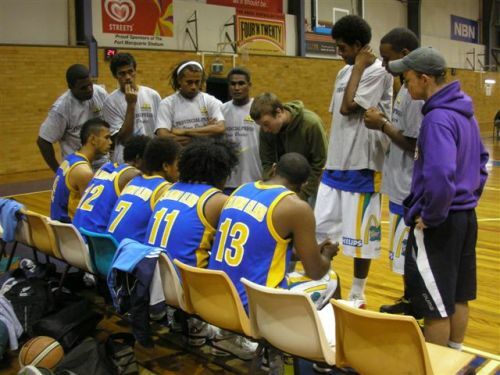 The money was used during the Solomon Islands National Basketball Team tour of Coffs harbour Australia on the 12th to the 23rd June 2007 for both Men's and Women's. Below is the break down of Expenses during Australia tour. Airfare for 32 people @ SBD 3,500. 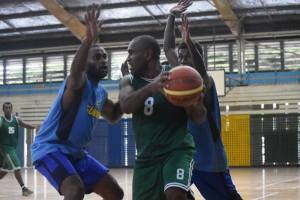 On behalf of the Solomon Islands Basketball team I would like to thank IOC for providing the funds to enable the Solomon Islands Basketball team to tour Australia as part of their preparation towards the South Pacific Game.